CARHA Hockey recently posted a story built around the association's belief that it is never too late to start playing the game of hockey. We received a terrific response to the post on our CARHA Women's Hockey Facebook page, with plenty of people eager to share their stories about how and when they got into the game. After reaching out, we received some amazing stories about the game of hockey that definitely proved our point that it's never too late. Check out the first installment below. 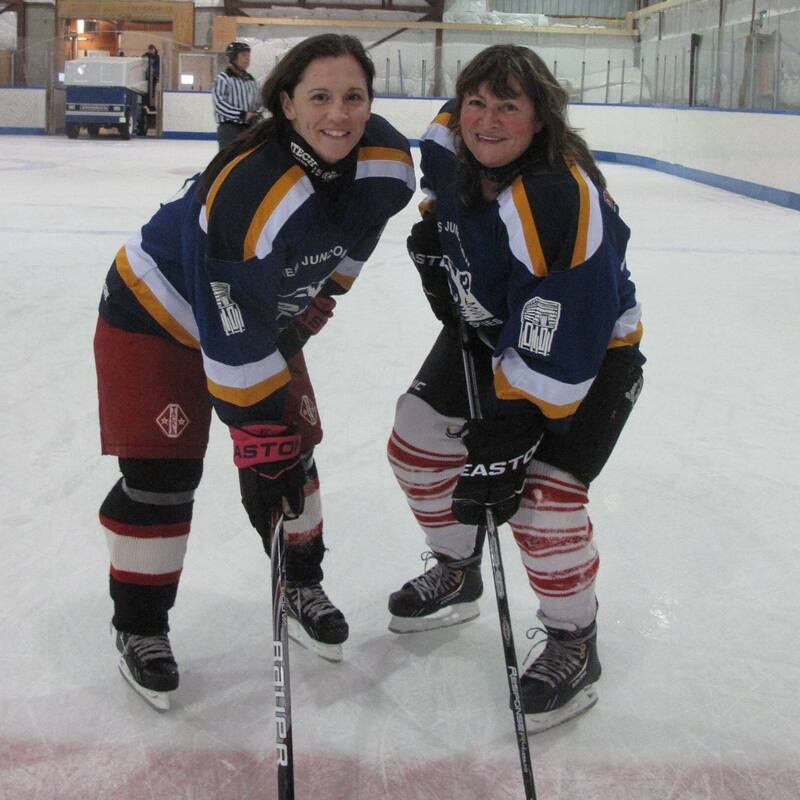 Moving to the small community of Haines Junction, Yukon, next to a little creek, Valerie Drummond had no idea she would make such an impact in the women’s hockey community. Drummond’s husband transformed the creek into a skating rink for him and their boys to play shinny hockey on. Eventually Drummond bought herself a pair of second hand skates so she could join them. It wasn’t long before Drummond’s husband suggested she join his men's league team. Drummond filled a spot for several years on her husband’s team until the league morphed into more of a recreational league. Drummond’s hockey career did not end there - after practicing with her son’s teams for a few years she started a female division for ages 13 and up. She noticed that the number of young girls dropping out of minor hockey after peewee was very high; she knew she had to do something to encourage girls and women to stay in the game. The division has been very active ever since. Drummond also initiated a family style hockey jamboree for men and women at Christmas. The event became incredibly popular in the community, now in their 25th year. Drummond expanded this idea of a hockey jamboree and created a female hockey jamboree hosted every January. Drummond remarks the jamboree’s popularity as, “three other communities follow it to hold their own female jamborees throughout the winter”. Drummond states, “Although I am now 71 years old I am fit and healthy and my goal is to keep playing with my granddaughters”. Hockey has no age limit, it is never too late to start!